Meet Medicine Man, the son of Baby Girl whose story we told yesterday. Medicine Man is the little paint horse we found laying on the floor next to his mom in the manure and filth of a New Jersey kill pen. As we explained in Baby Girl's story, Medicine Man's mom was in very bad shape and we knew we had to get both of them out of there. Unfortunately, we had a problem--I didn't have enough room in the trailer for both of them! Just thinking about taking Baby Girl away from her son was distressing especially with the condition she was in. And we worried about leaving the little guy behind and all alone in a place that's so scary to him. We had no choice...Baby Girl was not only dying from starvation and lack of care but she was also injured and needed emergency care if she was going to survive. When we removed Baby Girl from the pen, her young son carried on, kicking and screaming. We tried to calm him down before we left but nothing worked. It was a 3 1/2 hour trip to Rivers Edge so it was impossible to come back for him that night, but I promised him I would be there waiting as soon as the auction house opened. It broke our hearts to walk away from him and we could still hear him screaming as we left the building. The next morning I called the auction house before they opened to see if I could pick him up earlier. They told me the horse cried and screamed all night long and they would be glad if I could come early, so it worked out for both of us. I arrived at the auction house and there he was, this precious little horse who must have remembered me and connected me to his mom!! It seemed like he was just waiting to load onto the trailer. Since he was so young, I was pretty sure he was never loaded before other than to the auction and dumped off, but he loaded like a trooper that morning, up and on the trailer like a pro, I was ever so grateful. The long ride home was quiet until we got to Rivers Edge and Medicine Man started screaming and whinnying! Baby Girl heard him and started whinnying back to her son!! We pulled in close to his mom and Medicine Man came right out of the trailer as if he had done this many times before and went right to his mother! 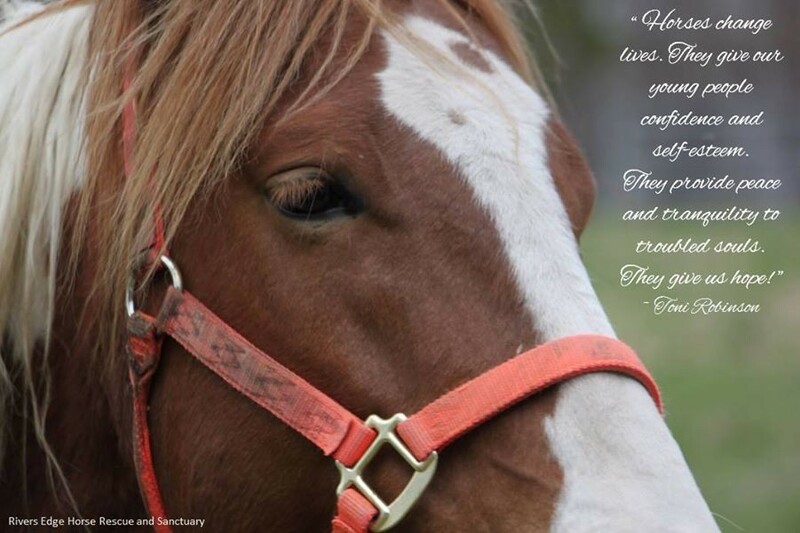 Medicine Man is a kind, gentle soul who suffered terribly when he was young and I pray that he never will again. He is a special kind of horse you just know is in your pocket or trying to get in. He has come a long way since that day and has grown like a weed into an amazingly beautiful horse that now stands almost 15 hands. He will steal your heart in an instant and leave you breathless. This young horse knows how to work his magic on anyone he meets. Medicine is a permanent resident at the rescue and knows it as his home and family. 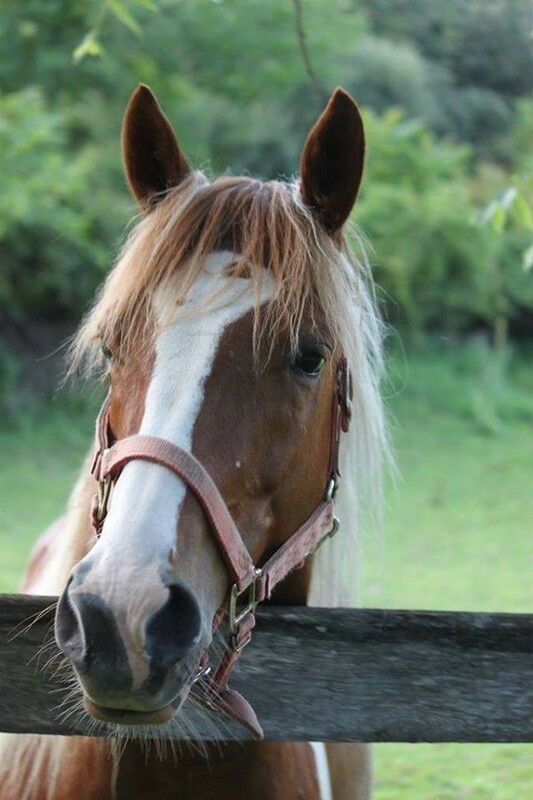 His mom shares the farm with him and they are happy, healthy, and loving life at Rivers Edge.